As Seen in Packaging World Magazine, The Plastics Distributor and Fabricator Magazine (PD&F), and International Association of Plastics Distribution (IAPD). 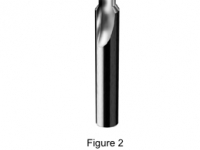 King Hy-Pact® is the smart choice for many high abuse applications. 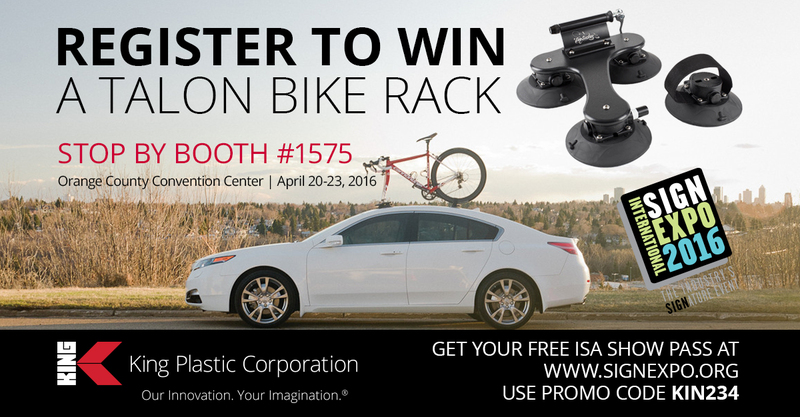 Gears, machine parts, sprockets, star wheels, wear strips and more. 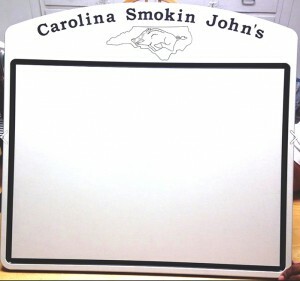 King Plastic had the pleasure of interviewing John Young, Pitmaster at Carolina Smokin John’s BBQ from Winston-Salem, North Carolina. Young and his team travel within the United States competing in barbecue events sanctioned by Kansas City Barbecue Society (KCBS), The North Carolina Barbecue Society and others. 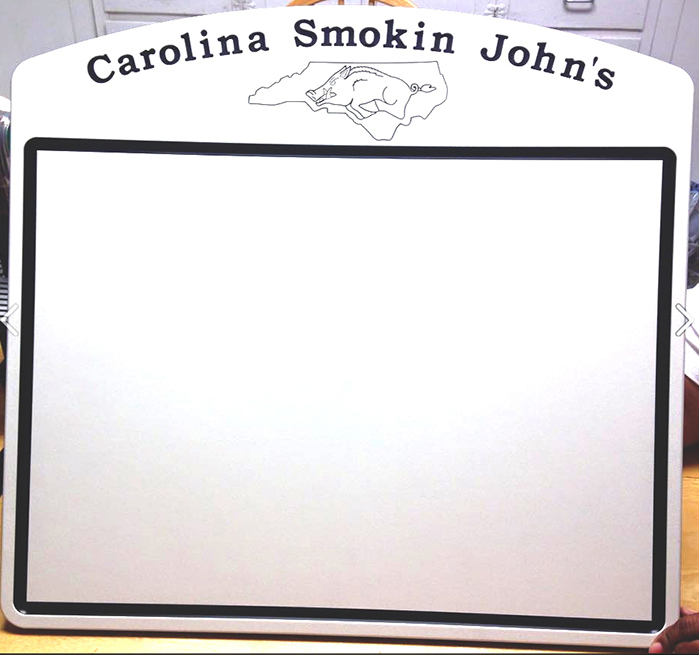 Carolina Smokin John’s BBQ has many accolades including Grand Champion in the Texas Pete Twin City Rib Fest. In addition to competing, Young offers catering services for special events. In the video below, see John Young working his chopping BBQ skills on his custom engraved cutting board made with King ColorCore®. The purpose of this memorandum is to address some general questions concerning the life span of our “King StarBoard®, King StarBoard® AS, King StarBoard® ST, King ColorCore® and King ColorBoard®” products. The use of special polymers and additives in these products yield the very best combination of appearance, toughness, rigidity, chemical resistance, environmental stress crack performance and overall longevity to our products. One of the most common questions asked is, “ How long will “King StarBoard®, King StarBoard® AS, King StarBoard® ST, King ColorCore® or King ColorBoard®” last?” This inquiry probably should be broken down into two questions: (1) How long will the color hold up before fading? and (2) How long will the polymer retain its physical properties? Unfortunately, due to the many variables that affect these outcomes, such as product color, thickness, application, or climate it is impossible to give definite answers. In the following paragraphs, we will explain why and what you should be able to expect from our products. In order to answer the first question as to how long the color will last before fading, it should first be understood that the color stability of a product is primarily dependent on the type, quality and color of the pigment used (not the UV stabilizers used). The only impact that a UV stabilizer has upon the color stability of a product is that by protecting the base material from degradation, it helps maintain color. That being said, King Plastic Corporation uses the finest color pigments available for applications of long term outdoor exposure. All of our standard colors use pigments that are FDA approved (heavy metal free) as are our UV Stabilizers. Each color we offer will perform with a slight difference from each other in regard to color stability. It is impossible to determine exactly how long any given color will “last”, due to the many variables affecting each application use. We continually monitor the color stability of our products by testing samples at our plant utilizing a QUV weather accelerator. These accelerated weather tests are quite long in nature and the results are checked at three, six, nine and twelve month intervals. By performing these tests on an ongoing basis, we can determine how a new color is going to hold up when compared to other established colors. UV stabilizer is to bond molecularly with the base polymer and prevent the polymers molecular chains from breaking down due to UV exposure. The type and amount of UV stabilizers used and the amount of UV exposure are the main variables that affect polymer life. 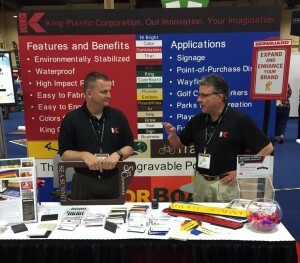 As with our pigments, King Plastic Corporation uses only the finest UV stabilizers available. King Plastic Corporation also randomly sends samples of our products to independent labs for UV content analysis. 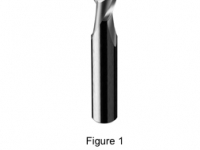 This testing procedure is performed to ensure correct loadings of the UV additives. Without exception, every one of these tests has shown having the correct amount of UV stabilizer present. As stated before, due to the many variables beyond our control, it is impossible to give an exact life expectancy. Based upon the information available from our suppliers and from our many years experience in producing these products, we feel eight to ten years should be a conservative figure. We do not publish copies of the test results mentioned above, because they contain information about our products that are proprietary. Please be assured that we are using the finest products available to us and that King Plastic Corporation is committed to monitoring our products to ensure that you receive the finest quality material on the market. 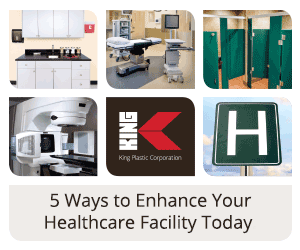 This video will demonstrate the ease of working with King Plastic polymer sheets. From cutting to routing, welding, bending, fasteners and cleaning, this video tells the whole story. 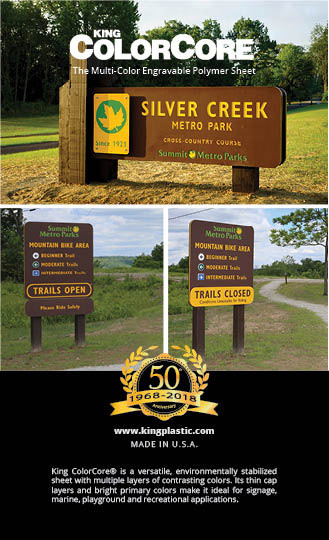 When producing our products, King Plastic uses processes that are non-polluting and conserve energy and natural resources, making it economically sound and safe for employees, communities and consumers. The polymers are completely recyclable and left over materials are recycled back into our products. When cutting or fabricating, there is no harmful dust, but instead small shavings that are recyclable. It contains no known harmful substances, including carcinogens or toxins. Off-gassing does not occur when the sheets are cut and fabricated. It is not necessary to use acids or harsh chemicals for finishing, cleaning, or maintenance. The outstanding durability of products made using our sheets maximizes product life cycles thus reducing the overall impact on our environment. 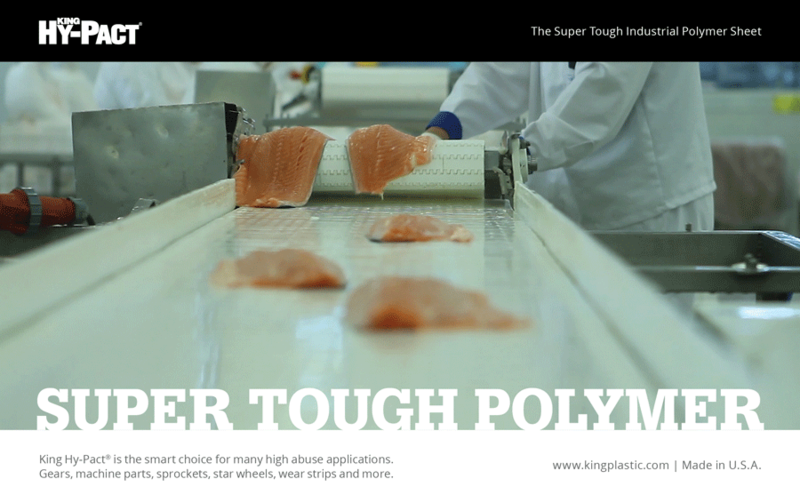 King’s polymer sheets stand up to thousands of uses and keep your bright ideas looking bright for years. 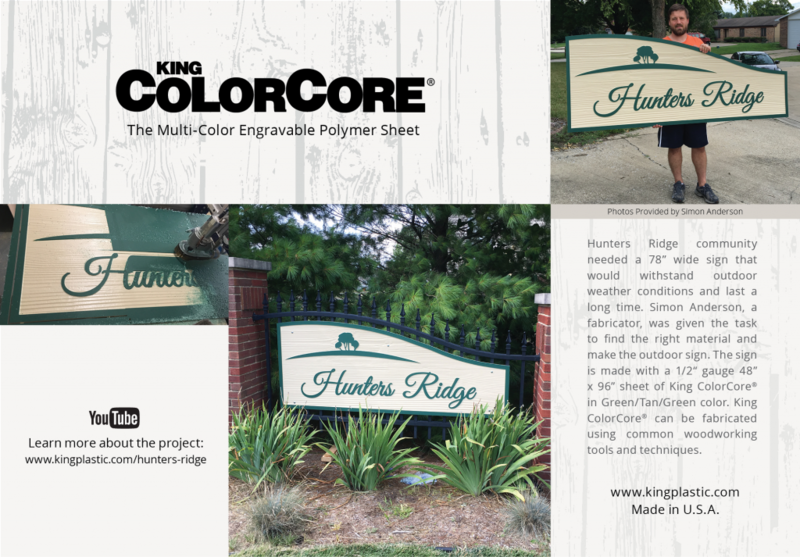 King ColorCore® and King ColorBoard® polymer sheets are the versatile, durable and colorfast to provide that competitive edge in your business you’re looking for. 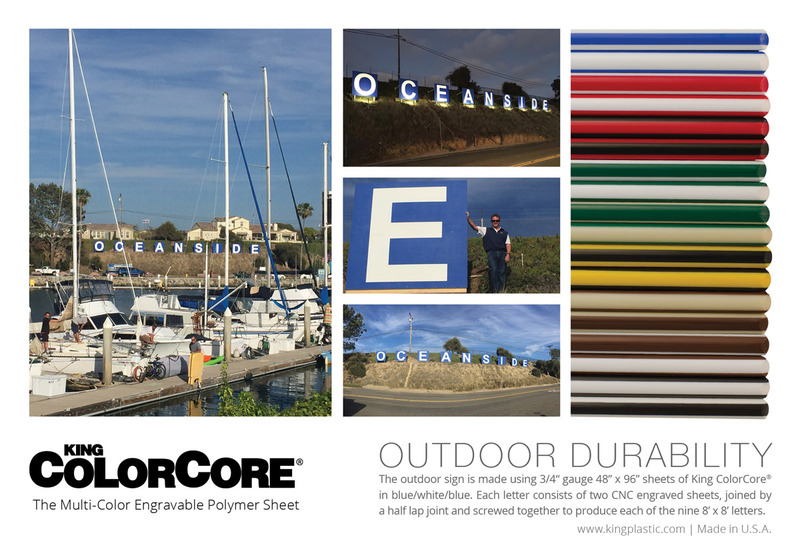 Both polymer brands are UV stabilized and waterproof for a lifetime of worry-free use in harsh outdoor environments. 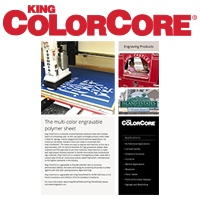 King ColorCore® and King ColorBoard® are also available in several gauges and a variety of matched colors. 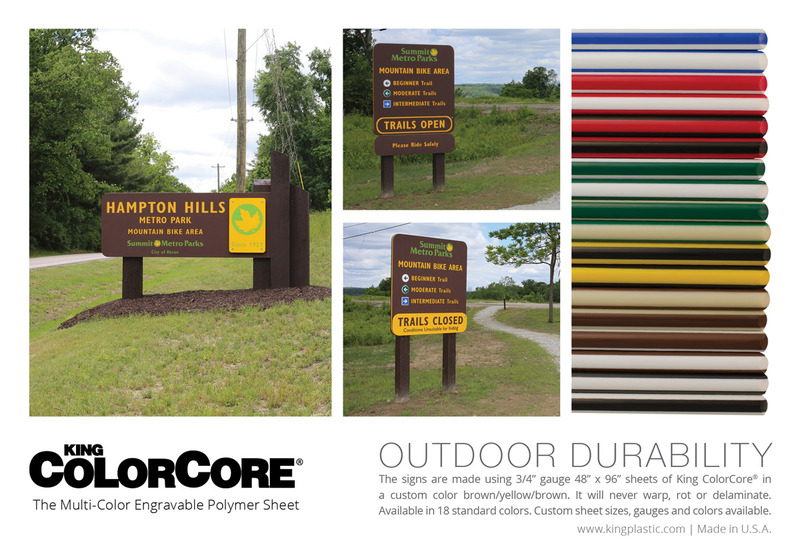 King ColorCore® unique PolyFusion™ process is a state-of-the-art technology that fuses contrasting layers of colors into a single homogeneous sheet. 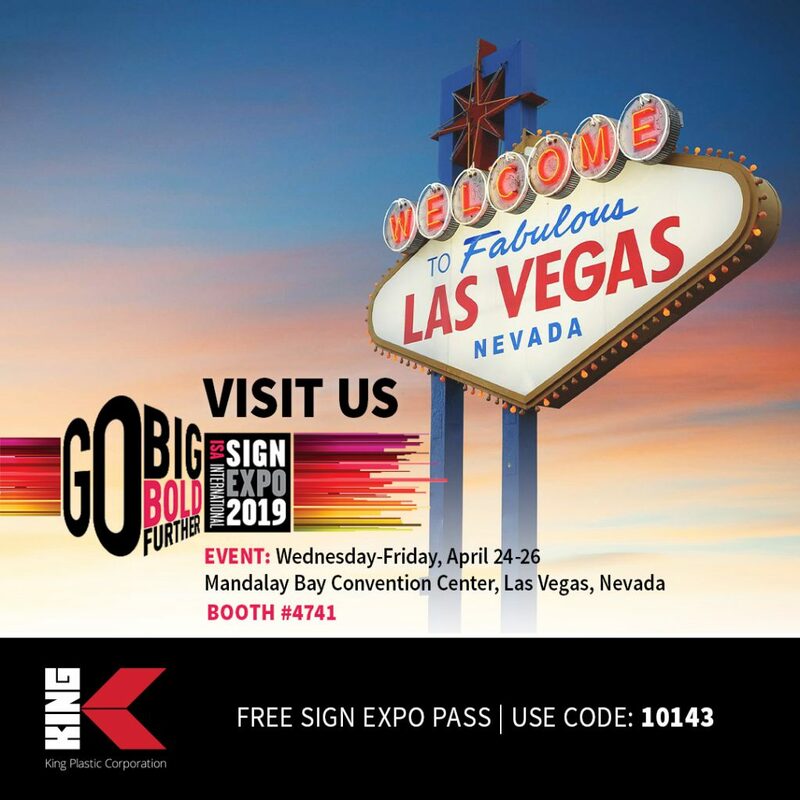 It is ideal for engraving to make indoor and outdoor signs, as a building sheet for playgrounds, and other recreational and industrial applications. Using King products may qualify you for LEED Green building rate points. For additional information, details and technical information please call King Plastic Corporation at 941-493-5502 or send us an email.